The brothers who owned helicopter firm Bond Aviation have created a major new regional airline group with an expected turnover of £200million and almost 1,000 staff members. 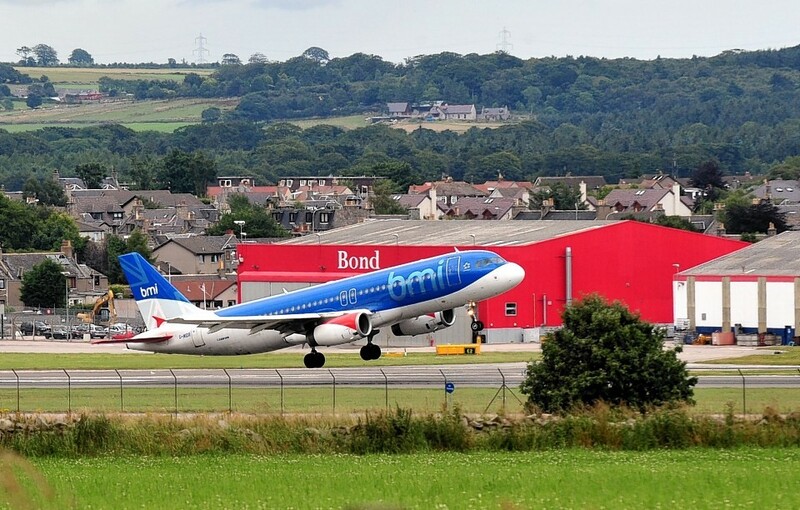 BMI regional and Loganair, a Scottish-based franchise partner of Flybe, have been clumped together under the umbrella of new holding company Airline Investments Limited (AIL), whose investors are Stephen and Peter Bond. Stephen Bond bought outright control Loganair, a Scottish-based franchise partner of Flybe, while the brothers also splashed out £8million on the regional airport operations of Bristol-based BMI, which has partnerships with Lufthansa and Brussels Airlines. The pair sold Bond Aviation − which they had inherited from their father, David, 40 years ago − for £275million in 2011. The new group has a fleet 46 aircraft, carrying 1.5million passengers on 47 routes across 10 countries spanning the Shetland Islands to the South of France. The group is headed by Peter Simpson, who was managing director of British Airways at Gatwick Airport from 2013. Since starting as AIL chief executive in March, Mr Simpson has overseen the launch of seven new European routes for BMI regional, taking the total number of destinations it reaches to 19. The business also bought five planes in May. Mr Simpson said he expects the performance of both airlines to be enhanced by their consolidation, to the mutual benefit of customers and partners. He said: “The opportunity to run the AIL Group, building on the turnaround programme at bmi regional and the continued success of Loganair is very exciting. “The AIL Group now has substantial size and reach; each brand has tremendous partnerships in their respective market. “The two airlines operate in clear niche markets in vital roles such as feeding traffic to mainline carrier networks like Lufthansa, Brussels Airlines and British Airways, with Loganair operating a successful franchise with major regional carrier flybe.